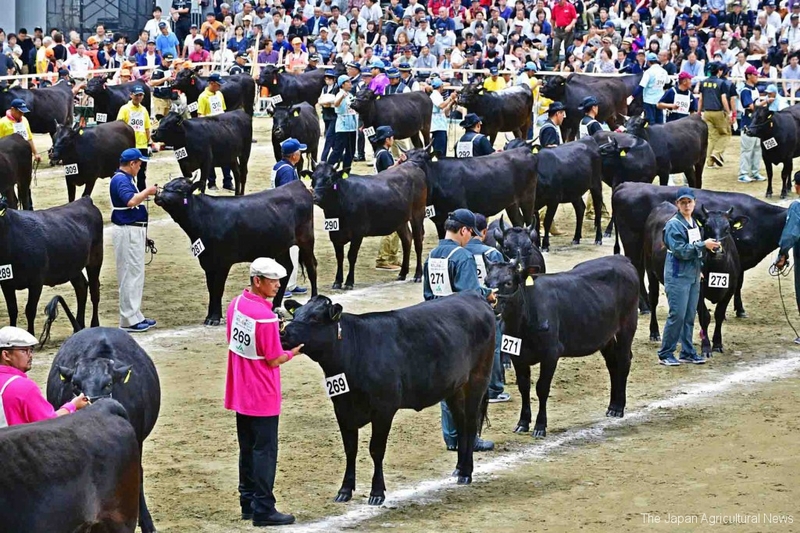 The 11th National Competitive Exhibition of Wagyu (Japanese beef cattle) was held during five days from September 7th to 11th in Sendai city, Miyagi Prefecture. 513 heads of bulls and cows from 39 prefectures participated in the quinquennial competition, where prefectures compete with pride and confidence in the shapes and the meat quality of their best wagyu. 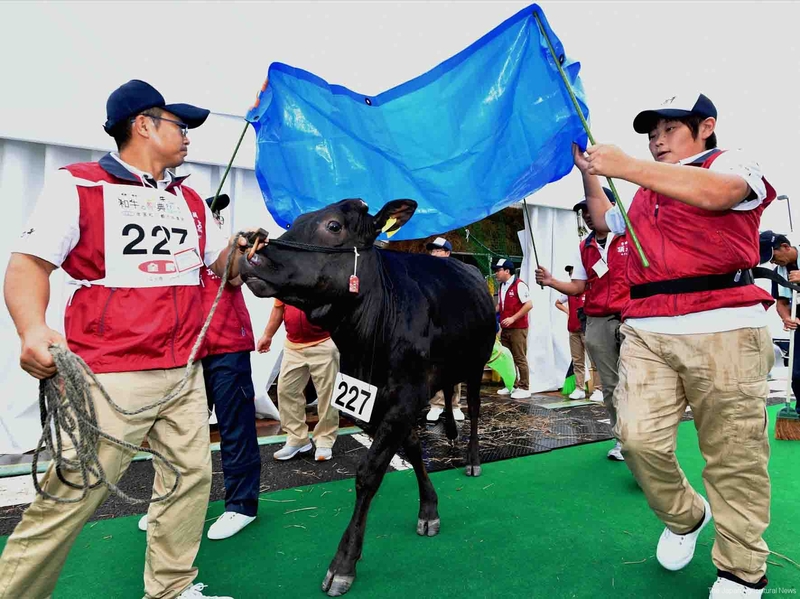 The judges this year gave the grand prize to Kagoshima Prefecture, which is the host of the next national exhibition. 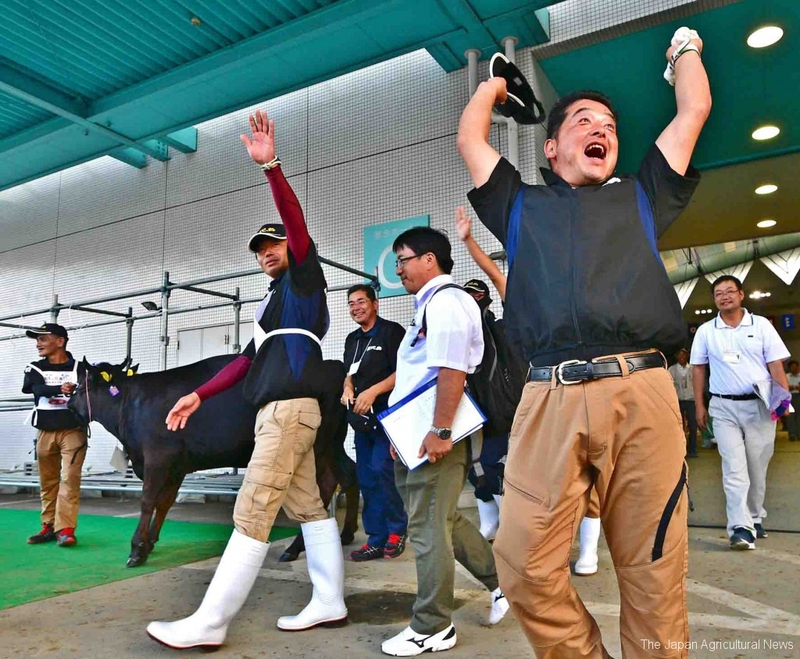 The venue also had booths for visitors to try beef from across the country and attracted 417,000 visitors in 5 days. This entry was posted in Food & Agriculture, Photos. Bookmark the permalink.